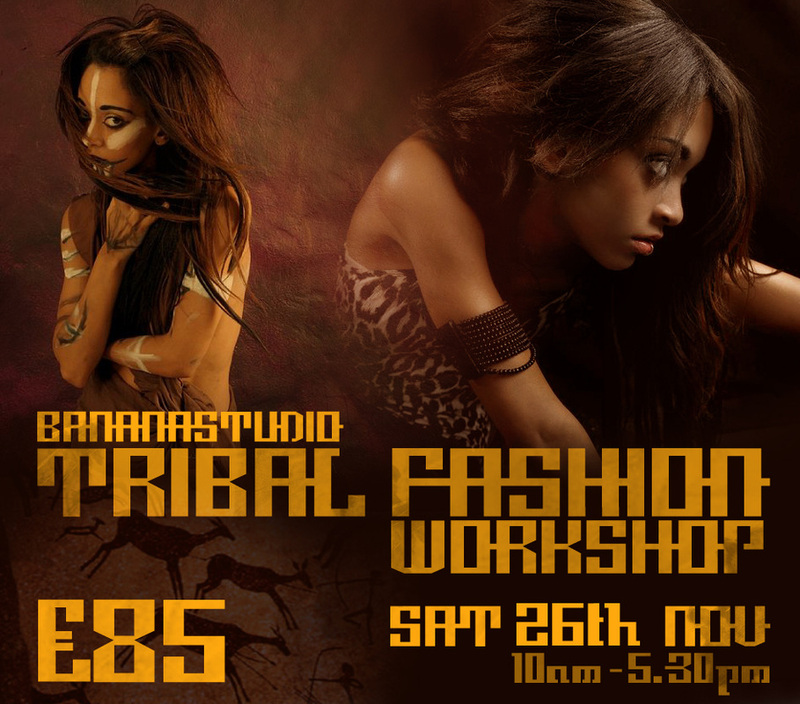 Bananastudio are please to welcome back from London Demari Vi Syth and Lauren Mc Walsh for a "Britain's next top model style", Tribal Fashion Workshop. Demari and Lauren will also be joined by other guest models for the full day workshop. Our inspiration for the workshop will be drawn from the Tribal images captured by Irving Penn and Bob Carlos Clarke and we will exploring tribal body painting and body decorations. As always the studio will be customized to reflect the theme of the workshop. When Demari last visited the studio , all agreed she was a fantastic model who can pose effortlessly and produced stunning results. Our workshops sell out fast , so book now to avoid disappointment. The price includes all models , Mua and stylists and include a light lunch and refreshments throughout the day.